Matejuška, a small cove, is a meeting place for the local fishermen, who walked down the slopes of Marjan and Veli Varoš for decades to fill their small wooden boats with sardines that represented everyday survival. The sounds of the seagulls tend to announce the dawn in the imperial inlet, slowly subsiding until the sunset while the fishermen count the daily catch and have a glass of wine followed by a song full of labor, salt and the wind. 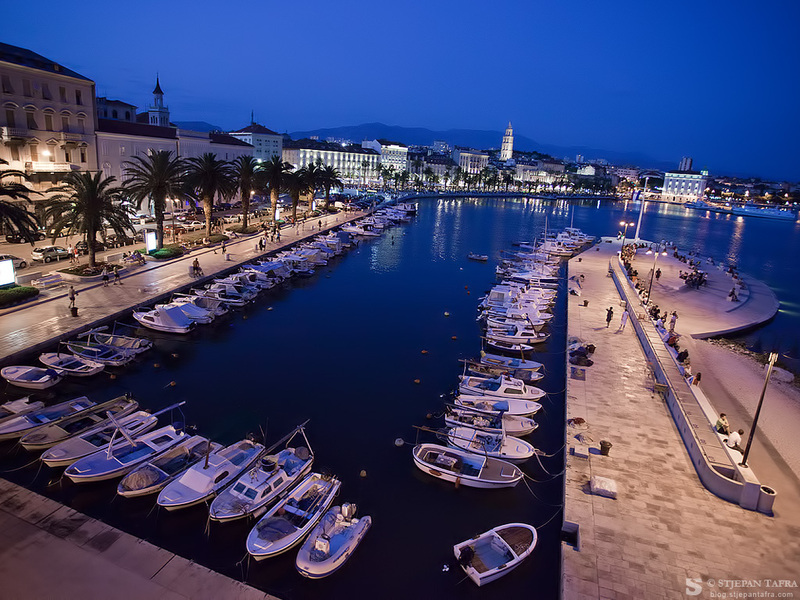 Matejuška is the only remaining symbol of the fishing tradition in Split. Its stillness resembles that of a postcard image until the strong winds hurl its waves like a flag. Matejuška daily offers real sea worms as bait, fishing stories and hoe made cooking at “Fife”, an establishment decorated with a part Split part French spirit of Davor Štambuk, famous and acclaimed sketch artist. It is a pity that the sights of Matejuška no longer feature the former Gusar club house, an origin of the fist European and Olympic medals brought to Split. Veli Varoš and Lučac combine a sort of historical sandwich with a city center, “competing” for the title of the oldest suburb. Lučac has its roots to the old Illyrian settlement at Radunica, while the people from Veli Varoš talk about the ancient settlements near Marjan on whose slopes they live. 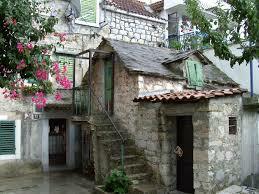 Veli Varoš features an abundant architectural heritage of the traditional Dalmatian style. The way to experience it is by taking a walk uphill to notice the intricacy of it stone streets and to complete the experience with a spectacular view of its rooftops in a view from the first belvedere. It most famous architectural monument is the Church of St. Mikula from the 11th century on whose portal there are inscribed names of the citizen Ivan and his wife Tiha. It is also worth mentioning the churches of Gospe o’ Soca, St. Kri , St. Frane, that are also located at Veli Varoš. Veli Varoš until recently was a symbol of the Split fishermen who led a meager existence on a daily sardine catch (as depicted at operetta “Spli’ski akvarel”, by Ivo Tijardovic ), while today the real estate prices here have sky rocketed. Its favorite sons include the opera singers Noe Matošić, Ante Marušić and Ratomir Kliškić as well as a journalist Miljenko Smoje.